Confession: I wasn't all that excited about the E3 announcement of Halo: Anniversary. I think it was some combination of remake-fatigue, the fact that Tomb Raider had already snagged the Anniversary title for their remake… all that top of the fact that the grand Halo Reach went so far beyond the original that an up-res'd remake seemed like a step backwards. 343's presentation at Halofest at PAX went some distance towards disabusing me of my skepticism, and it did it in the simplest way possible: It reminded me that Halo was pretty flipping great. To do so, Frank O'Connor and his demonstrator walked through "Guilty Spark," the classic twilight swamp level from Halo: Combat Evolved. They started the demo in "classic mode," with the original graphics from when it was originally released. But then, with the push of a button, the technology powering the game leapt ten years into the future; the ground cover filled in, plant-life became diverse and beautiful, and suddenly the whole game looked on par with any modern shooter. The game's appeal was twofold—simply seeing "Guilty Spark" again in all its old-school glory brought back so many memories; that silent hunt through the mist, the landing cinematic, as grunts ran through the foreground of the shot. 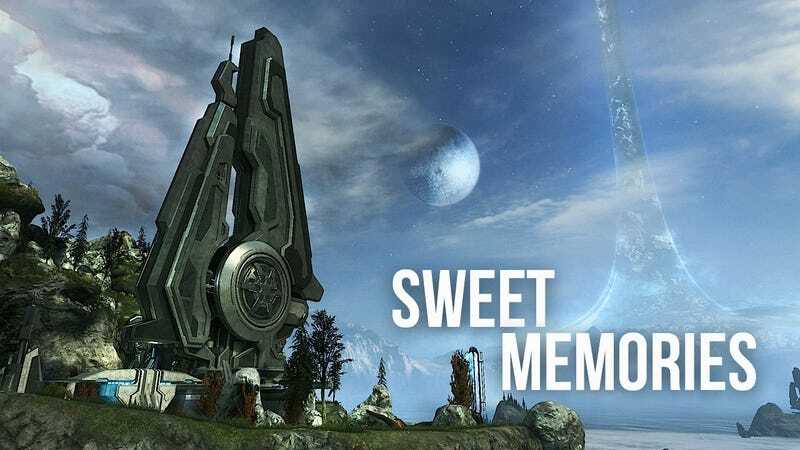 And really, just the time of my life when I first played Halo —my roommate Sam and me playing co-op into the deep watches of the night, going sleepless for a week to beat the campaign. But once the graphical bells and whistles were added, it was equally good-looking, though in a different, more modern way. It seems clear that half the fun of playing through this game will be going back and forth between the old graphics and the new, seeing what's changed and what remains the same. Hey, maybe it'll even make the Library more interesting. Wait, who am I kidding. You can see a video of the demonstration in the gallery above; give it a watch—longtime Halo fans will sense what I'm talking about immediately. 343 also demonstrated the multiplayer maps, which include classic maps from Halo, Halo 2, and even the PC version of the game, Halo CE. New maps revealed included Prisoner, Installation 04, and the particularly cool-looking Timberland map from Halo CE. In a neat touch, all of the maps have been redone to allow for more flow and room for the upgraded suit abilities in Reach. For example, the power-up areas from Beaver Creek have been tunneled through, allowing players faster access to more parts of the map. These maps are also demonstrated in a video in the gallery above. A video demo of "classic mode" on the campaign level "Guilty Spark." A walkthrough of the tweaked multiplayer levels in Halo: Anniversary.